Referred to as #SproutsInSpace, the project is also the subject of a short keynote address to Western Canada’s largest innovations event, #BCTechSummit. The students were invited to present their work at the Summit along with another local group called Pixton Comics. 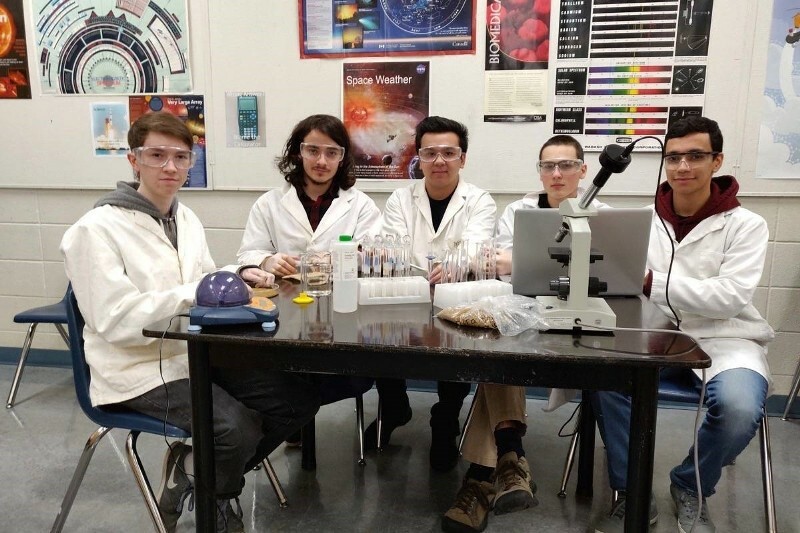 Five Ballenas students, from left to right, Marco Loffredi, Victor Kamel, Robert Lachance, Alexander Marshall and Filipe Pereira, will have their science experiment travel to space this summer.